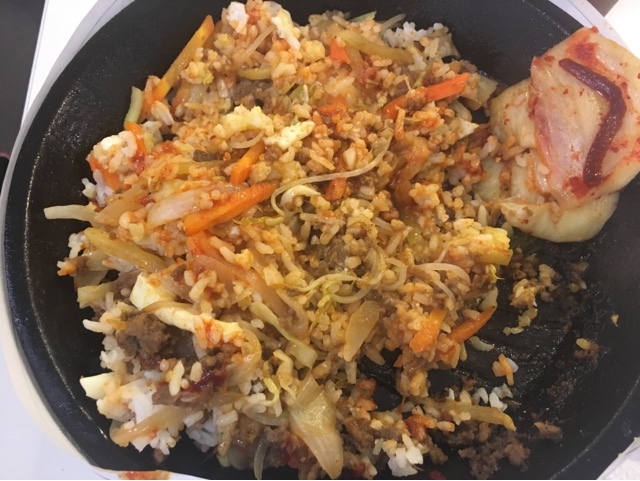 Other than Koreanovelas, Korean food is also worth being a fan of. You’d appreciate a good combination of meat with veggies (damo at dahon as I call it) plus herbs and spices. So how would you like a mix of Korean delectables in one plate? Kimbob brings you just that! 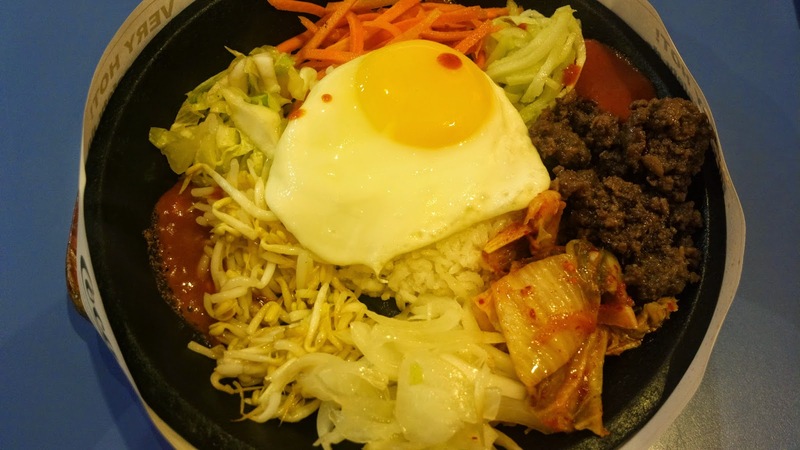 Their bestselling bibimbap features your choice of meat (beef, chicken, pork) with vegetables and egg for only 99 pesos (regular and 119 pesos for the special one). 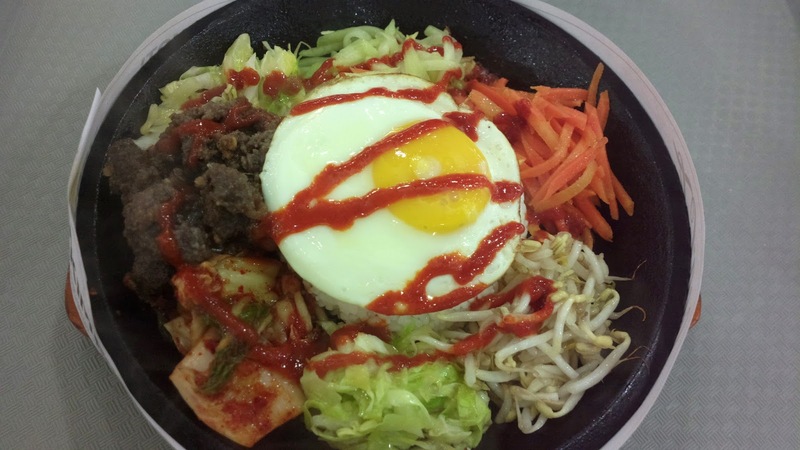 This Korean bibimbap brand has come a long way since post. They offer more items on the menu now. Some of which are pictured below. Above is beef with kimchi. While the latter is like the typical Korean side dish, I'm not sure what the former is all about. It's definitely not bulgogi type of beef. It seems to have the texture of corned beef instead. I really like the japchae added to this meal. In fact, I would enjoy an entire serving of just that if it becomes a full menu. This is the old stall at an SM branch; before the entire food court was renovated, along with all the stalls. You’ll find them in SM Food Courts as well as other locations. 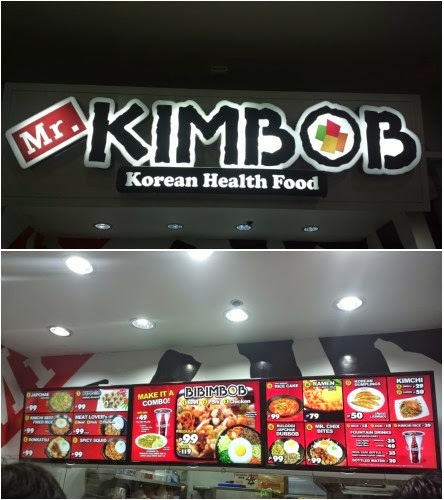 For a list of branches and the rest of the menu, visit their official website www.mrkimbob.com.